Female Senegal Chameleons (Chamaeleo senegalensis) often surprise their owners with eggs…indeed, they are among the most prolific of all lizards. Yet successful captive breeding presents us with many difficulties, and losses of both eggs and gravid (egg-bearing) females are all-too-common. This is a shame, because with proper care these fascinating creatures can provide one with a valuable introduction to chameleon care and breeding. Today we’ll examine the reasons behind most breeding failures, and look at some useful changes we can make to improve this sad situation. Note: Photo above is of a Flap-Necked Chameleon, formerly considered to be a subspecies of the Senegal. Please click here for a photo of a Senegal Chameleon. Senegal Chameleons live fast and die young, with 2-5 years being the average lifespan even for those receiving excellent care. Like most creatures with this lifestyle, they mature quickly and reproduce often. Female Senegal Chameleons can breed at the tender age of 6 months, and even with a less-than-ideal diet can produce 2-3 clutches of 15-75 eggs each year. Senegals are also quite durable – in the short term – and often feed well and develop eggs even when stressed by collection from the wild and substandard care. This leads to a false sense of security among novice owners, and, in time to frustration, as the new lizard feeds, develops eggs, then then dies along with her clutch. The root of many breeding failures lies in the fact that Senegal Chameleon collection is simpler and cheaper than captive reproduction. Because they breed so prolifically, wild-caught females are usually carrying eggs in some stage of development. Collection and shipment is hard on chameleons, which by nature are stress-prone, and all the more so where gravid females are concerned. In addition, misconceptions as to their care abound. Many keepers fail to appreciate just how much living space and privacy these (and all) chameleons need, and the necessity of providing a proper nest site. While most understand the need for calcium supplementation and UVB exposure, captive diets still typically lack appropriate variety, and the importance of an adequate water supply is often over-looked. Studies have shown that Senegal Chameleons choose prey in accordance with their nutritional needs, and that other species regulate basking time (under UVB) in tune with their circulating Vitamin D level. This is important research that bears directly on our ability to keep and breed this fascinating lizard…please see the articles linked below, and post any related questions you may have. Although female Senegal Chameleons can reproduce at 6 months of age, pets should be at least 1 year old before being introduced to a male. At younger ages, they are still adding bone mass, which requires ample calcium intake. Egg production presents an additional calcium drain, increasing the likelihood of metabolic bone disease. Female Senegal Chameleons are generally as territorial as are males, and will attack a potential mate if they are not ready to breed. Always introduce a male by placing his cage near that of the female, and drape a semi-transparent cloth between the cages as an extra stress-inhibitor. Females in good health will show their intentions right away – threatening the male if not receptive but refraining from attack mode if willing to breed. Receptive females will also exhibit color changes and an enlarged or bulging cloaca. If your female is not ready, relocate the male’s cage to another room and try at a later date. Captive conditions change the normal ebb and flow of reptile hormones, so it’s best to try at various times during the year. If the female appears ready to mate, allow the male to move into her cage on his own, as handling may stress the animals and forestall breeding. Copulation can last for 1-2 hours, during which time both will likely show some color changes. Remove the male as soon as they have copulated, as the female will likely attack him shortly thereafter. Female Senegal Chameleons typically lay eggs within 70-90 days after mating. However, much longer and shorter gestation periods have been reported. The confusion may arise from the fact that captive diets, light cycles and such can affect the time it takes for the eggs to mature. Bear in mind also that a single mating can result in numerous fertile clutches, and that unmated females frequently lay (infertile) eggs. To be safe, always have a suitable nesting site available to all females (please see below). Gravid females have extremely high calcium requirements. A calcium-poor diet will cause metabolic bone disease, a condition wherein calcium is leached from the bones and replaced with fibrous tissue. 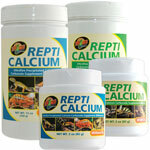 Calcium also assists in producing the strong muscle contractions needed to expel eggs from the body. Calcium deficient females will retain their eggs (a condition known as dystocia) and will eventually expire from infections (egg peritonitis) or related problems. 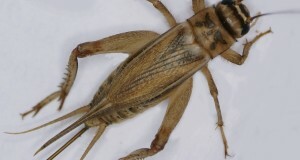 I favor ZooMed calcium supplements, and always nutrient load feeder insects unless they are wild-caught; please see the article linked below for more on calcium supplementation and diet. Females fed a high calcium diet may nevertheless retain eggs if they are dehydrated. Senegal Chameleons rarely drink from water bowls, and the water volume they take in when the terrarium is sprayed is often insufficient. Water dripped from a punctured contained set atop the terrarium is more likely to meet their needs. You’ll need to place a container below the drip cup in order to catch excess water. 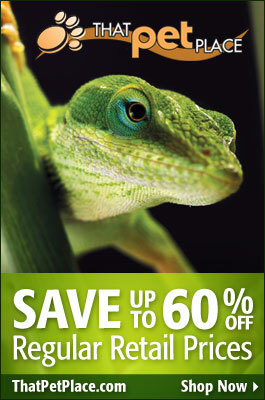 A reptile humidifier will also assist in keeping your chameleon properly hydrated. As mentioned, female Senegal Chameleons should always have access to a nesting site. Most will not release their eggs unless provided a suitable place in which to dig a nest chamber. A plastic bin or storage container measuring 18” x 18’ x 18” works well. Some individuals will use smaller containers, but a depth of at least 12” is essential. The nest box should be filled with a mix of sand and top soil or coconut husk. The substrate should be kept slightly moist…just enough so that it clumps a bit when squeezed. If too dry, the female’s egg tunnel will collapse as it is being dug, and she will abandon the site. The terrarium walls near the site should be covered with cloth or a similar material, and the cage itself should be located in an undisturbed part of the house. 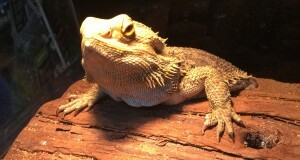 The terrarium’s regular basking bulb, or an additional one, should be used to warm the nesting area. Senegal Chameleon eggs have been successfully incubated at temperatures ranging from 72 to 80 F. At 77 F, they typically hatch in 6 months. 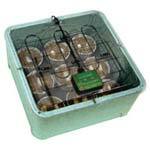 A high-quality reptile egg incubator is the surest means of assuring a successful hatch. The eggs can be set-up in vermiculite at a water-substrate ratio of 1:1 by weight. Even for mathematically-impaired individuals such as I, this is easy to accomplish – please see this article for a simple explanation. Newly-hatched chameleons present a unique set of challenges, especially when it comes to providing a healthful, varied diet. Please see this article on feeding tiny reptiles and amphibians, and those linked below, for more info. Hi Frank yet a very interesting article. I’ve read several articles on the Senegal Chameleons, yours is the best by far.